Notes: Takes just 5-10 minutes to put it up or take it down. 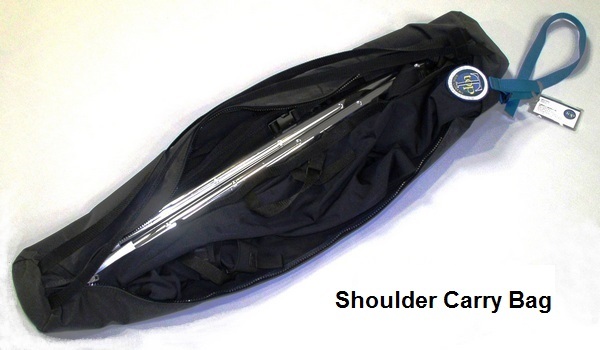 Can also be used in the Front for Shade or as a Bow Spray Dodger or for Aft Slant-Back Shade. As seen at the Miami Boat Show. all Straps (and C-Clips if needed in rare cases) for installation on your T-Top, Hard-Top, Bimini, Convertible or Sunshade Top frame. 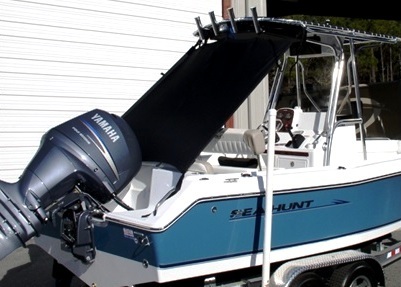 Size/Fit: Fits boat with 6-8 foot Wide BIMINI-TOP, covers 5-7 foot Long Cockpit area. 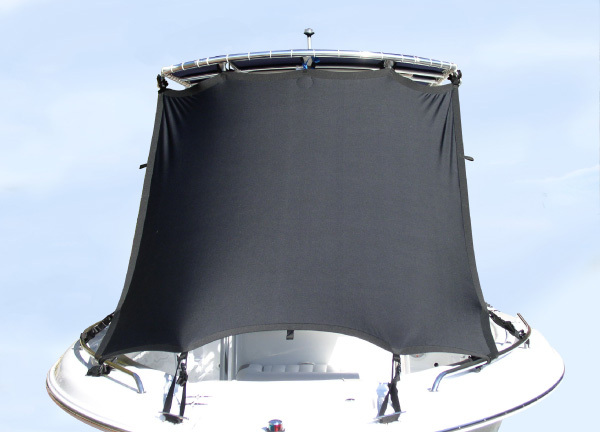 Stretches over the back edge (6-12 inches) of a Bimini, Convertible or Sunshade Top with two (2) adjustable straps to the existing top frame. 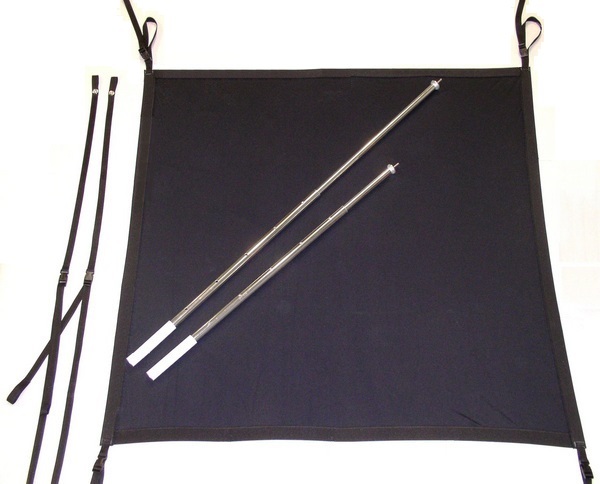 The aft corners of the Shade-Kit stretch to Heavy-Duty Telescoping Aluminum Poles inserted in Aft Rod Holders on the boat (if you don't have Rod Holders, MateSeries offers a very stylish stainless steel combination cup holder and rod holder). Poles tie-down securely to boat to avoid loss. Shade fabric will stretch 2 feet in both directions for a tight fit. 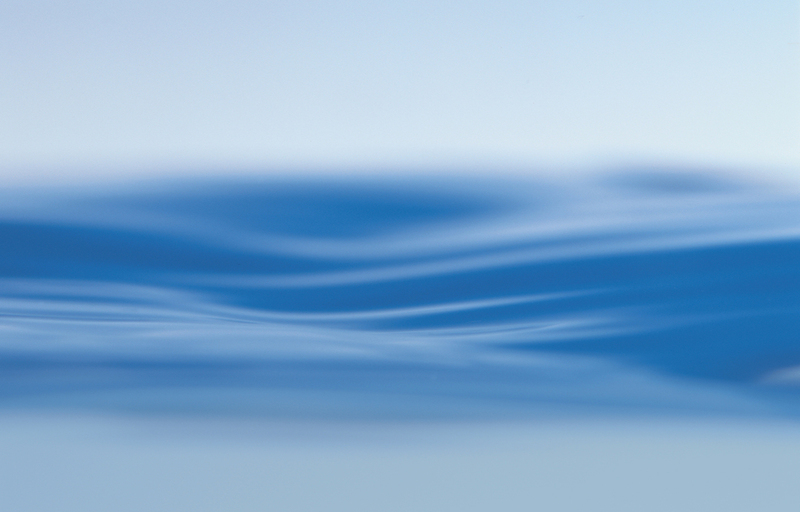 In some cases, C-Clips (can be provided) can be used to clip on the 7/8 or 1 inch diameter aft frame of the Bimini, Convertible or Sunshade Top. 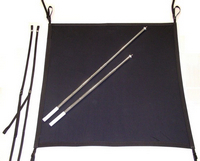 Can also be used as Slant-Back curtain for protection from the sun or wind. Made in Charleston, South Carolina, USA. Ships in box 4-inches square by 48-inches long, weighing 16-17 pounds. Remove it in 5 minutes and stow it in its handy shoulder carry Stprage Bag.